This topic contains 2 replies, has 3 voices, and was last updated by Mark Cooper 7 months ago. Like most of you this is a first for me; I’m usually a very reserved person and have been raised to think showing pain shows weakness and vulnerability. Now that I am 23 and have been on a rollercoaster of medical exams, suggestions and crippling debt for the last three years I’ve learned it time to stop. Stop pushing myself with attending a university for a career I’ve dreamed about , stop working out and running like I use to and stopped loving myself like I want to. I’ve been a busy body my entire life , always working and planning towards my future. My boyfriend and family are supportive with what they can offer. However, like any person with this level of constant pain , no one can truly explain the physical and mental suffering you go through daily . That being said don’t get me wrong , I try daily to remind myself whatever I can accomplish IS just that … an accomplishment . From making the bed to finding the small amount of energy to cook a meal or read a book . Just there are good and bad days , today is the latter . It’s difficult to try to relax for me on almost every level you can think of. Going from a busy body and never having time for a social life (which I was quite good at) to having no job , no progress in my studies and no friends (with exception to my boyfriend and my family) it’s just heartbreaking . I feel stuck , like I’m not progressing at all to my future or my intelligence . My boyfriend will soon leave for the military and I’m beyond words nervous and scared to be sick and alone. Even more so than I feel now. He wants me to not worry and be fine with not working , but I don’t feel designed that way. Now that I’ve ranted , I guess my overall question or need of advice is in the category of , how do you deal with change in the world around you when you are stuck ? How do I gain the feeling of loving myself and feeling accomplished again? We want to start out by saying how sorry we are that you are on a pain journey. 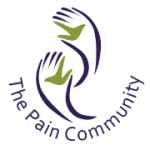 We want to welcome you to The Pain Community Family, we are here to help in whatever way we can and to let you know that “you are not alone” on this journey. We will be here for you to offer hope, compassion, support and connection to others who truly understand the journey that is pain. We want you to know that it is possible to go on with life…to feel accomplished…to love oneself and the world around them. We know that right now with all the changes happening in your life that it is hard to see beyond today but we are here to help you and together we can do this. We want to start out by connecting you to others who understand and want to support you. We have several ways of doing that. The first one being right here on the forums, we also have the TPC Facebook page, https://www.facebook.com/paincommunity/. There is also a great group of folks who follow and support The Pain Community who have a Facebook group called, “Friends in Pain”, here is the link, https://www.facebook.com/groups/236329823140204/. You will meet others who are going through the same struggles that you are and you will meet others who have found their way and can help you on your journey. Our next call will be on Tuesday, July 11th at 7:00 pm ET, 6:00 pm CT, 5:00 pm MT and 4:00 pm PT. The calls are very laid back and there is never any pressure to share more than you feel comfortable sharing. In fact you can call in and just listen if you like. The hostess for the calls also offers a one on one call if you would like to talk to her and ask questions regarding the conference calls and how they work. You can reach her by emailing, outreach@paincommunity.org. We hope that you will visit the Facebook pages and also try the conference calls. We also have blogs and many of them are wrote by people who live with pain and they have shared the different aspects of their journey’s. You will find the blogs under the “community” tab at the top of this page. 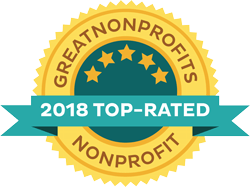 It is our great hope that you will find the compassion, support and friendship here at TPC and on the other sites we have shared with you and that will enable you to move beyond the feelings of being stuck. ALso to gain the strength to move forward in life so you can enjoy the sense of well-being, loving oneself and feeling accomplishments that you and all of us need and desire. Here at TPC we strive to provide you with a community that envelops you in love, compassion, support, connection and friendship. If you have any questions about what we have shared please do reach out by emailing, outreach@paincommunity.org. I can understand your situation. This chronic back pain is very bad. You should first workout regularly Or at least do stretching exercises. It can give you some relief but if it is worse you should always consult pain management doctors.